Founded in 1988, Paddy Power has predominantly been a bookie for sports betting. It is, however, as well-known for its approach to offering odds on controversial markets, including whether U.S President Barack Obama would reach the end of his first term in President or the verdict of Oscar Pistorius. Their Casino platform launched in 2004 and on February 2nd 2016, they joined forces with Betfair to create one of the world’s strongest online casino platforms. When it comes to games, quality over quantity is a motto at Paddy Power Casino. With just over 100 games on their website, they have a more selective range than the majority of their competitors. The quality of those games is superb though, and the hand-picked few that have made the cut are certainly above the industry average. Game types vary from new slot games to the classic casino table games on Paddy Power Casino. Live Dealers games are also available for those who prefer the human element of getting to interact with the croupier. Paddy Power Casino games can be played on the website or downloaded onto players’ devices by using the Boss Media software. Players who want to enjoy the games instantly will use the software provided by WagerWorks, whilst the Live Dealers section is developed and managed by Evolution Gaming. The use of three software programmes instead of the standard one has clearly paid off, as they’re widely regarded as the leaders in quality graphics and smooth in-play. Paddy Power and promotions go hand in hand. The site is passionate about offering their players the best deals – and the best variety. 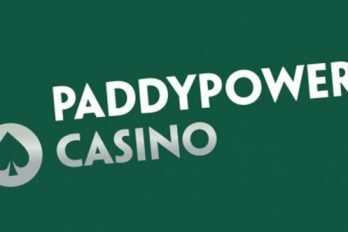 Whether it’s the welcome bonuses when players sign up or the loyalty program for those who regularly deposit, every casino player will want to see the deals Paddy Power has to offer. The promotion page on Paddy Power is always full of fantastic deals, so players are advised to keep their eyes peeled on that page – it’s where the magic happens! Paddy Power offers nine different payment methods for their deposit and withdrawal transactions: Neteller, Entropay, VISA, VISA Electron, MasterCard, Maestro, Skrill, PayPal, Ukash and Paysafecard. The selection is quite restricted compared to other websites, but they do use the most popular and secure forms of payment methods, including VISA and MasterCard. Paddy Power offers the most up to date customer service, including their popular ‘Ask Paddy Power’ twitter account which helps solve customer queries quickly and easily. Players must simply tweet their issue and the customer service team will respond with answers accordingly. Punters can also get in contact with PP’s customer service team through more traditional methods such as live chat, email, telephone or fax. They also have a helpful ‘support’ section on their website providing clear advice to regular player queries.